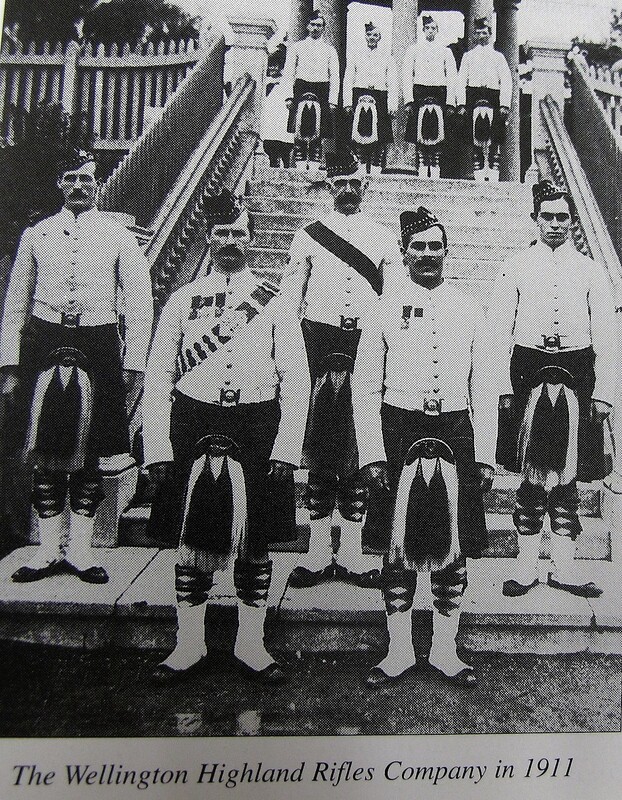 The Wellington Regiment traces its descent from the Wellington Veteran Volunteer Corps, formed in 1867 by British settlers, many of whom had served in the 65th Foot. 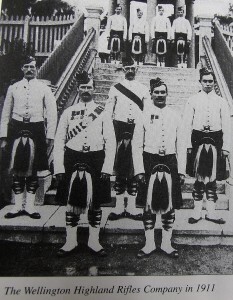 In 1898 it became the Wellington Rifle Volunteer Battalion and included the Wellington Highland Rifles Company which wore the uniform of the Seaforth Highlanders. In 1911 it was redesignated the 5th (Wellington) Regiment. The Hawkes Bay Regiment traces is descent from the Napier Rifle Volunteers, formed in the Hawkes Bay area in 1863. The volunteer companies were grouped to form regiments which were later designated the 9th (Ruahine) and 17th (Hawkes Bay) Regiments of Infantry. The 9th and 17th Regiments provided contingents for service in the South African War.